At Hawkins Agency we believe in an educational approach, and are here for you. Our mission is to provide the families and businesses we serve with innovative financial strategies, solutions and planning that result in financial clarity, security and overall financial health. Making strong commitments to our clients and building lifelong relationships are tenets of success at Hawkins Agency. Hawkins Agency provides investors custom-tailored strategies to meet short- and long-term needs. Our goal at Hawkins Agency is to help our clients realize their financial dreams by offering creative solutions through an open and transparent process utilizing innovative solutions to achieve financial independence. 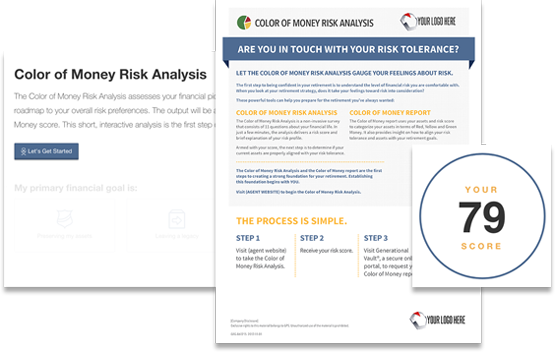 The Color of Money Risk Analysis assesses your financial picture and provides a roadmap to your overall risk preferences. The output will be a proprietary Color of Money score. At Hawkins Agency we help our clients understand their Social Security benefits and educate them on how they can maximize their benefits. Lewis Hawkins and Hawkins Agency are not affiliated with or endorsed by the Social Security Administration or any government agency. This content is for informational purposes only and should not be used to make any financial decisions. Is your insurance plan well-thought out? All written content on this site is for information purposes only. Opinions expressed herein are solely those of Hawkins Agency and our editorial staff. Material presented is believed to be from reliable sources; however, we make no representations as to its accuracy or completeness. All information and ideas should be discussed in detail with your individual financial professional prior to implementation. Insurance products and services are offered through Hawkins Agency. Hawkins Agency and Lewis Agency are not affiliated with or endorsed by the Social Security Administration or any other government agency. This content is for informational purposes only and should not be used to make any financial decisions. Exclusive rights to this material belong to GPS. Unauthorized use of the material is prohibited.